In terms of comfort, availability and ease of access, train travel remains one of the best forms of public transport. It is particularly popular with seniors and the disabled, because of the accessibility options that most train stations and carriages now provide.As governments have encouraged more people to use trains for public transport over the years, they have improved those accessibility options. 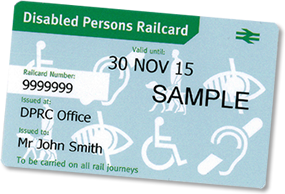 Governments have also provided discounts for specific rail users who may depend on public transport for financial reasons or because they are physically impaired. Senior Railcard — which gives seniors access to rail travel discounts. 1/3 off Standard and First Class Anytime, Off-Peak and Advance fares. It is important to understand that the card is not valid when travelling between two stations inside London and the South East area during morning peak time. You also cannot use the card to obtain a discount on Eurostar tickets, season tickets, some train companies already offering discounts, tickets for charter trains and most London underground and docklandslight railway tickets. Seniors can also purchase a 3-year railcard for £70, an additional saving of £20 compared to buying annual cards! To use the card, you simply present it to the station ticket officer when purchasing your ticket. You should always carry your senior railcard with you while traveling and present them to ticket inspectors if asked. 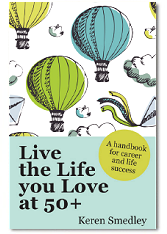 To buy a Senior Railcard online, you will need a valid passport or a UK driving license. You will also need a valid debit card or credit card. Simply visit the Senior Railcard Website to begin to process! Your card will then be sent to you via the mail within 5 days. You can buy a Senior Railcard at any staffed station ticket office or National Rail-licensed Travel Agent. You can either fill in the application form at the ticket office or you can download the form here and pre-fill it. You will need to bring one form of identification to prove your identity and age — a birth certificate, passport or a UK driving license is ideal. You can then register the card online if you wish to renew it via the website at a later date. You can also receive a Senior Railcard by the telephone. Simple call 0345 3000 250 (07:00-22:00 every day, except Christmas Day. Calls are charged at the national rate). You will need to provide a copy of your Certificate of Visual Impairment (CVI), BP1 Certificate (Scotland) or BD8 Certificate for being registered blind or partially-sighted. In addition to discounted travel for seniors and the disabled, there is help available at railway stations for people with physical impairments. Most railway stations have staff who can assist anyone with mobility issues, as they board or exit trains. To obtain assistance, contact the station in advance of making your trip. Some railway stations also have scooters to help people with mobility issues navigate the train station. It is important to understand that only some stations have staff on hand to help you and you should make a booking in advance of your trip if you require assistance. Information written by the people at Northern Rail, connecting tens of thousands of people to work, leisure, education and more every day in the North of England.